In early 2017, a federal judge in South Carolina dismissed more than 2,000 cases filed against Pfizer over allegations that the pharmaceutical company’s top-selling cholesterol-lowering drug, Lipitor, causes Type 2 diabetes. On June 12, 2018, the U.S. Court of Appeals for the Fourth Circuit affirmed the summary judgment. **UPDATE: In June 2018, the U.S. Court of Appeals for the Fourth Circuit affirmed a district court’s decision to grant summary judgment in favor of Pfizer in all remaining claims in Lipitor Products Liability Litigation MDL No. 2502. The district court judge dismissed all remaining cases with prejudice. It was not long after the U.S. Food and Drug Administration (FDA) warned in 2012 that Lipitor had been linked to an increased risk of diabetes that pharmaceutical giant Pfizer was hit with a wave of lawsuits from people who alleged that the company knew about possible serious side effects of Lipitor but failed to properly warn the public. The FDA approved Lipitor in 1996 as a way to prevent cardiovascular disease by lowering cholesterol. Pfizer first communicated the drug’s link to high blood sugar and increased risk for diabetes in February 2012 — only after the FDA’s Division of Metabolism and Endocrinology Products requested Pfizer update the drug’s labeling to indicate these risks. Scores of Lipitor users who developed type 2 diabetes soon filed legal claims against Pfizer, alleging that their illness was a direct result of treatment. The lawsuits claim the drugmaker knew about or should have known about the diabetes risks of Lipitor before marketing it as a safe and effective treatment. They accuse the drugmaker of neglecting to adequately warn patients and doctors of the full range of Lipitor’s health risks. These lawsuits were eventually consolidated into a multidistrict litigation (MDL) and centralized in a single court in the District of South Carolina. They were joined by hundreds more lawsuits, bringing the total actions against Pfizer to more than 2,000. The federal judge overseeing the proceedings ultimately dismissed most of the cases before they could go to trial. He excluded almost all of the plaintiffs’ expert testimony and ruled that the plaintiffs could not cite evidence in the record that would allow a jury to infer that Lipitor caused them to develop diabetes. Plaintiffs appealed the district court’s decision. On June 12, 2018, the U.S. Court of Appeals for the Fourth Circuit affirmed the summary judgement. FDA approves Lipitor as a way to prevent cardiovascular disease by lowering cholesterol. FDA warns that Lipitor has been linked to an increased risk of diabetes. U.S. Judicial Panel on Multidistrict Litigation centralizes all pending and future federal Lipitor diabetes claims in a single court in the Southern District of South Carolina. Federal judge sets trial date for first MDL case to go to trial. Federal judge grants Pfizer’s motion to exclude plaintiffs’ expert testimony. Lipitor diabetes lawsuits are on appeal before the U.S. Court of Appeals for the Fourth Circuit. People who filed lawsuits against Pfizer over allegations that Lipitor caused their diabetes are generally women who had a body mass index within the healthy range, kept a healthy diet, took Lipitor to decrease their risk for heart disease and were subsequently diagnosed with type 2 diabetes. Evalina Smalls says she was healthy before she started taking Lipitor. Her body mass index was 24.8, which is within the healthy weight range for women, and she followed a healthy diet. She began taking Lipitor in 1999 as a preventative measure to maintain her healthy lifestyle and to decrease the risk of developing heart disease. In 2009, she was diagnosed with type 2 diabetes while still taking Lipitor. As a result, she must undergo regular glucose level monitoring, follow a restrictive diabetic diet and take diabetes medication for the rest of her life. Smalls alleges that, as a result of taking Lipitor, she faces a substantially increased risk of developing blindness, neuropathy and kidney disease. Perhaps the most frustrating part of her injury is that she is now at a greater risk for developing heart disease — the very condition Pfizer claimed Lipitor could help prevent — since individuals with Type 2 diabetes are at greater risk for heart disease. Smalls filed personal injury claims in March 2013 against Pfizer in federal court in South Carolina. One month after Smalls filed her lawsuit, Patricia Colbert of Virginia filed a similar lawsuit against Pfizer, but in the U.S. District Court for the Eastern District of Virginia. Colbert was prescribed Lipitor in 2010 to lower low-density lipoprotein (LDL) and as a preventative measure to reduce heart disease risks. Despite her healthy weight and diet, Colbert was diagnosed with type 2 diabetes in 2012 while still taking Lipitor. Like Colbert, Kimberly Hines of Illinois was prescribed Lipitor to regulate LDL and to reduce the risk of heart disease. When she started taking the drug in 2008, she was healthy with a body mass index of only 22.3. Although she had a healthy lifestyle, she was diagnosed with type 2 diabetes in 2010 while still taking Lipitor. She filed her case in the U.S. District Court for Southern District of Illinois in April 2013. Smalls, Colbert and Hines are just three of the many women who filed Lipitor diabetes lawsuits against Pfizer between February 2012 and April 2013. Attorneys for a group of plaintiffs filing Lipitor diabetes lawsuits twice tried to get the U.S. Judicial Panel on Multidistrict Litigation to transfer all pending and future diabetes claims to a single court for consolidated pretrial proceedings. Both times Pfizer opposed the motions to consolidate the cases, claiming it would bring about lawsuits that would otherwise not be filed. The first motion to centralize the claims came in April 2013. At that time, there were considerably fewer claims, and the panel said it was “disinclined to take into account the mere possibility of future filings” in its decision. Moreover, the claims that had been filed involved common plaintiffs’ counsel and many were already being coordinated before one judge. In fact, half of the then-pending actions were pending in just one district. For those reasons, the panel denied the motion for centralization at its July 2013 hearing session. By 2014, however, the number of involved plaintiffs’ firms, actions, districts and judges had “grown considerably,” according to the panel. Plaintiffs’ attorneys filed a second motion for centralization that encompassed 56 actions, and the panel was aware of more than 170 additional related federal actions pending in more than 40 districts and before more than 100 different judges. Lipitor diabetes lawsuits were also pending in at least three state courts. On February 18, 2014, the panel ordered all pending and future Lipitor diabetes claims be transferred to the U.S. District Court for the District of South Carolina under the name In re Lipitor (Atorvastatin Calcium) Marketing, Sales Practices and Products Liability Litigation (No. II) MDL-2502. The panel assigned the MDL to the Hon. Richard M. Gergel, who at the time was presiding over 14 of the 56 constituent actions — all pending in South Carolina. Part of the reason the panel decided to consolidate the personal injury actions under an MDL was because the complaints are highly similar. Plaintiffs allege that they have developed type 2 diabetes as a result of taking Lipitor. Plaintiffs accuse Pfizer of marketing Lipitor without adequate instructions or warnings. They contend that Pfizer failed to adequately warn physicians and consumers of the risk of developing type 2 diabetes from taking Lipitor and that the company knew or should have known that the risks of Lipitor included developing diabetes. 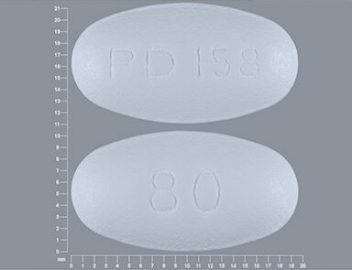 According to the lawsuits, Pfizer failed in its duty to monitor Lipitor’s safety and is liable for “negligent and wrongful conduct in connection with the design, development, manufacture, testing, packaging, promoting, marketing, distribution, labeling, and/or sale of Lipitor.” Plaintiffs accuse Pfizer of negligently, recklessly, and/or carelessly marketing Lipitor without adequate instructions or warnings. Original labeling and prescribing information for Lipitor printed between December 1996 and February 2012 “never warned patients of any potential relation between changes in blood sugar levels and taking Lipitor,” and did not warn consumers of “the serious risk of developing type 2 diabetes … when using Lipitor,” according to plaintiffs. Adequate prescription drug warnings are critical for ensuring consumer safety. When pharmaceutical companies fail to warn the public about risks associated with their prescription drugs, they deprive consumers of important information needed to make health decisions. People who took Lipitor and were later diagnosed with type 2 diabetes say with proper warnings, they could have decided not to use Lipitor. Armed with more information, they also could have monitored their blood glucose levels to determine if the drug was having an adverse effect on them. In other words, they say their injuries could have been prevented. According to lawsuits, Pfizer marketed Lipitor as safe and effective, although it knew or should have known about the risks of increasing blood glucose levels and developing type 2 diabetes. They allege the company engaged in overly aggressive and misleading marketing but did not provide patients and their physicians with information that could have prevented injuries. Diabetes and elevated blood glucose levels are serious conditions that can reduce a person’s quality of life significantly. They require ongoing monitoring, medication and doctor’s visits. Sometimes, they can also lead to hospitalization, serious medical interventions like surgery and even death. In addition to being accompanied by major lifestyle changes, serious conditions like diabetes can interfere with the ability to work and carry out other daily tasks. Patients who filed lawsuits against Pfizer said they took Lipitor to lower their cholesterol and didn’t expect to develop unintended side effects like Type 2 diabetes, nor are they prepared to deal with resulting medical costs and lost income. Once the MDL was established, the court selected two cases to serve as bellwether cases, or test cases, for the MDL. The cases, Daniels v. Pfizer and Hempstead v. Pfizer, were meant to be the first to go to trial beginning in November 2015. The start of the trial was delayed due to the court’s criminal caseload. Leading up to the first trial, the court considered plaintiff’s testimony from medical experts. On March 20, 2016, the court issued a forty-page order excluding plaintiff’s expert opinions, except for the opinion of epidemiologist Dr. Singh that Lipitor 80 mg causes diabetes. Plaintiffs in the MDL all took dosages of Lipitor less than 80 mg. None of the plaintiff’s experts could provide a method to determine whether a patient developed diabetes from Lipitor or from other risk factors. They testified that they themselves could not determine whether Lipitor caused a particular patient’s diabetes. “After reviewing the studies relied on by the experts and their opinions, the court was concerned about whether plaintiffs’ experts had sufficient facts and data to support their causation opinions at all doses of Lipitor, and even whether the experts would be willing to offer an opinion at low doses, given the available data,” court documents state. In 2016, the court remanded certain cases in the MDL to certain state courts and remanded 70 lawsuits to federal courts in California. On February 27, 2017, the Lipitor diabetes MDL was officially closed after the court dismissed all remaining pending claims under the MDL and the Judicial Panel on Multidistrict Litigation ceased to transfer and consolidate new cases to the MDL. The court said it dismissed the cases because the plaintiffs could not provide evidence that they developed diabetes from taking Lipitor or that would allow a jury to infer that Lipitor is capable of causing diabetes at dosages of less than 80 mg. Plaintiffs appealed the court’s decision to the U.S. Court of Appeals for the Fourth Circuit. The appeals court affirmed the district court’s decision in June 2018. Evalina Smalls v. Pfizer Inc., No. 2:13-cv-796-CWH (filed March 25, 2013, D.S.C.). Patricia Colbert v. Pfizer Inc., No. 2:13-cv-178 (filed April 8, 2013, E.D.Va.). Kimberly Hines v. Pfizer Inc., No. 3:13-cv-00404 (filed April 26, 2013, S.D.Ill. ).